Mystery of The Poveglia – World’s Most Haunted Island? Situated between Venice and Lido in the Venetian Lagoon of northern Italy is a small island which is considered to be one of the most evil places in the world. The island has been famous for being a refuge, mental asylums, barbarian invasions, as a place of exile and a dumping ground for the diseased. With its spooky legends the Poveglia Island is described as the ‘Most Haunted Place On Earth’. The island has its first mention in 421 during the downfall of the Roman empire. During this time many upper class people from the cities of Padua and Este came to Poveglia to seek shelter from the barbaric invaders. Due to the small size of the island, enemies did not invade the place. After that for centuries a small group of people lived there in peace. 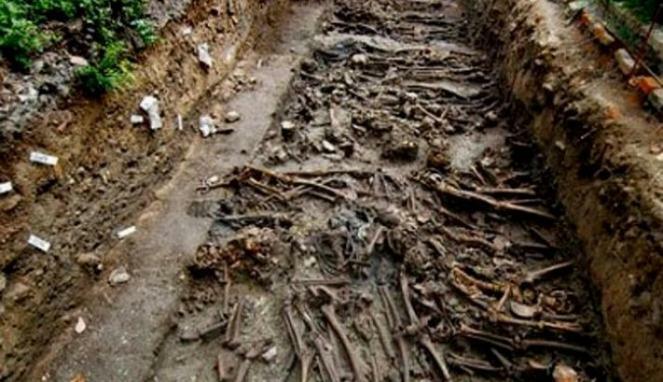 In 1379, Venice came under attack from the Genoan fleet and the residents of Poveglia were shifted to the Giudecca. The island then remained deserted for years. 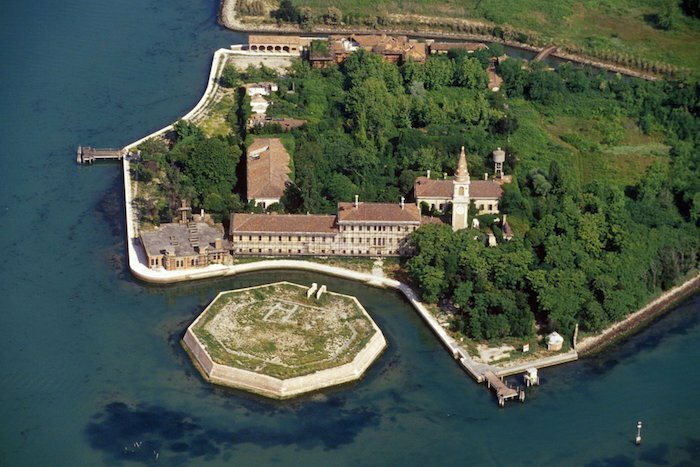 In the year 1645, five octagonal forts were built by the Venetian government to protect the entrances to the lagoon. The Poveglia octagon became one of them. Then later in 1776 it became a check point for all that entered Venice by ship. In 1793, several cases of plague were reported on the ships. Poveglia then became a quarantine station for those who were sick. Fearing the spread of the disease those who showed slightest symptoms of the disease were sent to Poveglia. Sending the patients to the island was like giving them a death sentence. Those who died of the disease were either buried or burnt there and those who were terribly sick were also burnt alive. According to the legends, around 160000 people died on the island during that time and returned as ghosts. The decayed island then was only filled with the burnt remains of the diseased. In 1922, the deserted buildings of Poveglia were reconstructed to occupy mentally sick patients. Patients who needed to be isolated from the society were brought here. These patients were also considered to be unfit for normal hospitalisation. It is said that the place was kept a secret and the doctors there got a chance to experiment dreadful medical practices on the sick. Those who were killed or those who died were buried on the island. According to legends, one doctor in order to become famous started performing procedures on the patients. He used tools like hand drills, hammers and chisels to perform lobotomy on the patients as a cure. Patients who did not co-operate were taken to the bell tower and heartlessly punished. It is said that after a few years the doctor jumped from the bell tower as he was disturbed by seeing the ghosts of Poveglia. He survived the jump but was later choked to death by a mist that came up out of the ground. In 1968 the hospital closed down. The island then was partly used for agriculture but later was completely deserted. There are many stories about the ghosts sightings reported about the Poveglia Island. The island has witnessed many unfortunate deaths. Many say that they still hear moans and cries and the coughing of the plague patients who still roam around the island. Some say that there are some violent ghosts in the buildings. These spirits touch, push, hit or even choke people there. Many say that they were scared to death. It is said that a family visited the island with an idea of building a holiday home for themselves there, but left the first night. The family did not let anyone know the reason. It is said that their daughter’s face was tore open and she was bleeding profusely and required fourteen stitches. There is one incident of a man who fled the island when he heard a voice asking him to leave the place immediately and never come back. An American TV host visited the island and entered the abandoned hospital for the Travel Channel series Ghost Adventures. It is said that he was briefly possessed by a ghost there. The screams and the moans has made the island unbearable to live. The local fisherman have also stopped fishing there because they find the human remains in their nets. In 2014 the Italian State government decided to auction the property for 99-year lease to raise money for Italy. An Italian businessman won a state auction to lease the haunted island. Luigi Brugnaro, who owns an employment agency, bought the place for €513,000 (£417,000) for the 99-year lease.